No delays or holds for direct deposit or most automatic payroll. An automatic, monthly savings account that helps you plan ahead for the holidays. Boost your savings strategy with some no-cost help and advice. Make mobile check deposits, view eStatements and make transfers. A simple savings account that comes with your membership. To earn more for your savings. Our highest yield account for larger balances to maximize earning power. 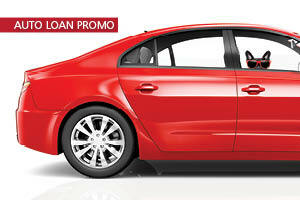 A safe way to lock away your savings for six months to five years. For larger balances, maximize your earning power with our highest yield savings account. Relationship MAX3 Share rewards members with higher dividends, making this one of the best saving accounts in town. Designed to compliment our Relationship Checking, saving money has never been more rewarding. Call or visit any branch. † The Investment Share Account, Relationship Max Share and the Relationship Checking Account are tiered rate accounts. To determine the APY that will apply to your account, refer to the appropriate tier that applies to your account average daily balance for the month. When a particular average daily balance range is met, the APY will apply to the full balance in that account. * Relationship Checking is required. Minimum opening deposit of $2,500 is required. See Consumer Truth in Saving Non-Term Disclosure for more information. 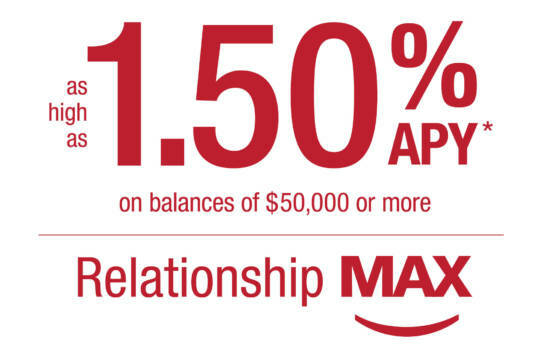 ** Relationship Max Share is a tiered rate account. To determine the APY that will apply to your account, refer to the appropriate tier that applies to your account balance for that day. When a particular daily balance is met, the APY will apply to the full balance in that account. * The Annual Percentage Yield (APY) is accurate as of 4/1/2019. An early withdrawal penalty may be imposed for early withdrawal. Fees may reduce earnings. See Consumer Truth-in-Savings Term Disclosure for more information. 1. APY = Annual Percentage Yield. Minimum $1,000 from another financial institution and a maximum cap of $50,000 per member. A penalty may be imposed for early withdrawals. Fees may reduce earnings. 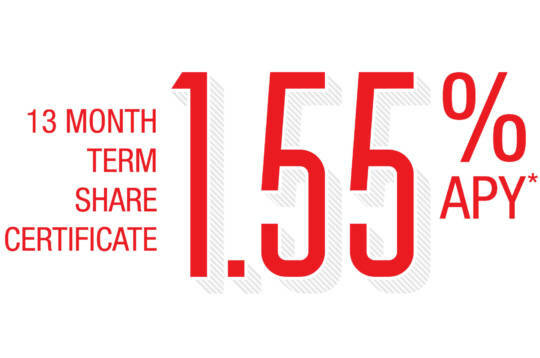 13 Month Term Share will automatically renew at maturity for a 12 Month Term Share at the prevailing dividend rate. Offer not applicable to IRA Term Share or Business Term Share Accounts. APY accurate as of January 1, 2019, and subject to change without notice. Hawaii State Federal Credit Union membership required. See Consumer Non-Standard Truth-in-Savings Term Disclosure for more information. 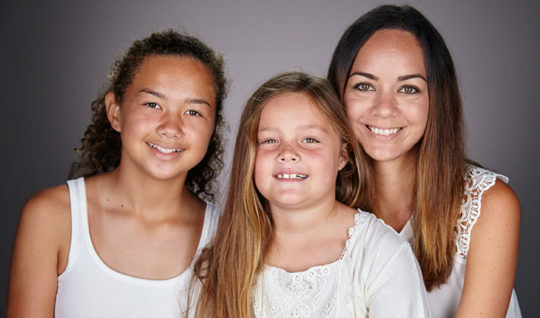 When it comes to money and savings, this retiree has done an admirable job managing the finances for several generations of her family. 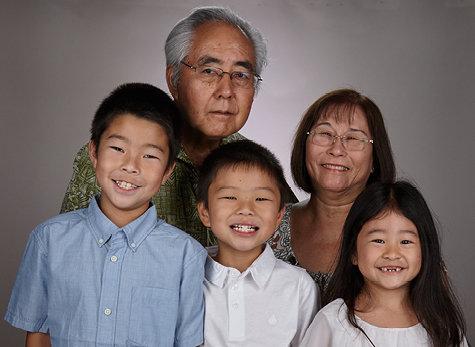 Nora started a savings account for all three grandkids, starting with an initial $1,000 deposit. Her lessons on savings is carried throughout the family. 3. The Relationship Max Annual Percentage Yield (APY) on daily balances of $50,000 or more is 1.50%. For daily balances between $0 and $24,999, the APY is 0.05%; for daily balances between $25,000 and $49,999, the APY is 0.10%. When a particular daily balance range is met, the rate will apply to the full balance in the account. Other accounts and terms are available. For example, our Regular Share account has an APY of 0.25% for all balances. Contact us to help determine which account may be best for you. APYs are current as of 4/1/2019 and may change at any time. Relationship Checking is required for Relationship Max. Minimum to open a Relationship Max account is $2,500. Certain terms and conditions apply. Must be a Hawaii resident. Membership in the Credit Union is required.